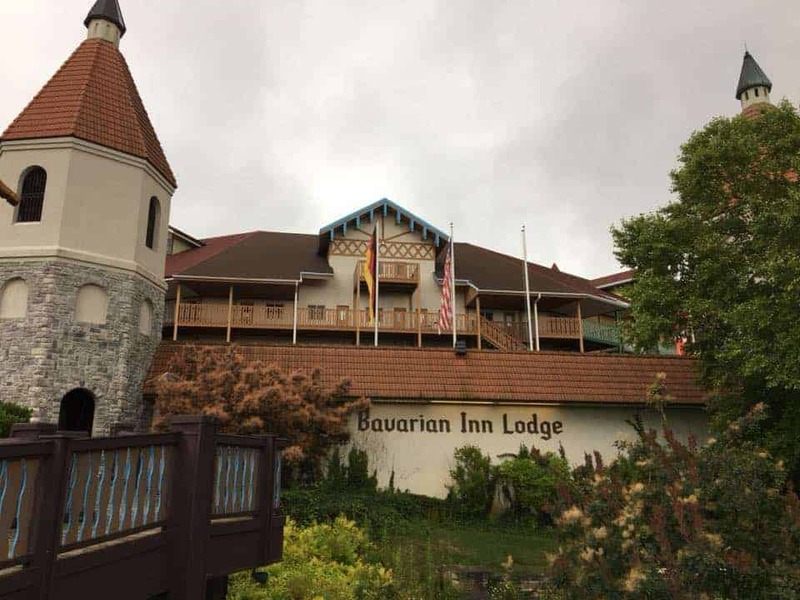 Last week I was invited back for a complimentary stay at the Bavarian Inn, of course I didn't hesitate to say yes since we were ready for a little getaway from daily life. 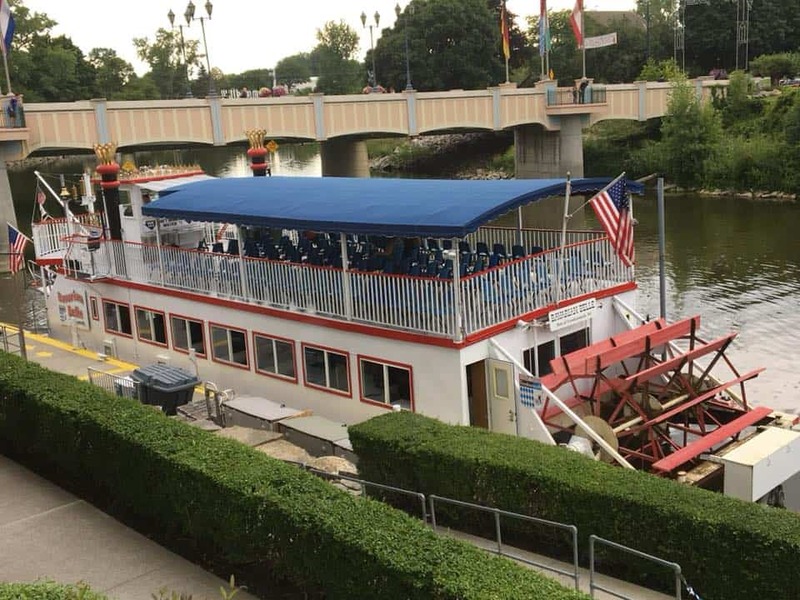 You can read My Completely Honest Review of Bavarian Inn Frankenmuth. This has become our favorite destination away from home when we just really need to get away from the daily grind and unwind a little. 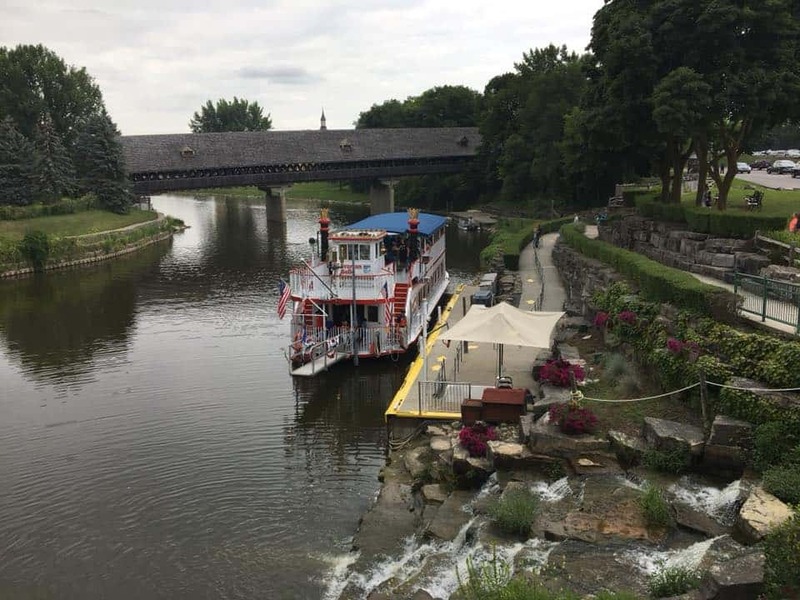 Frankenmuth is a short drive from home, and yet just far enough to count as a road trip to me. 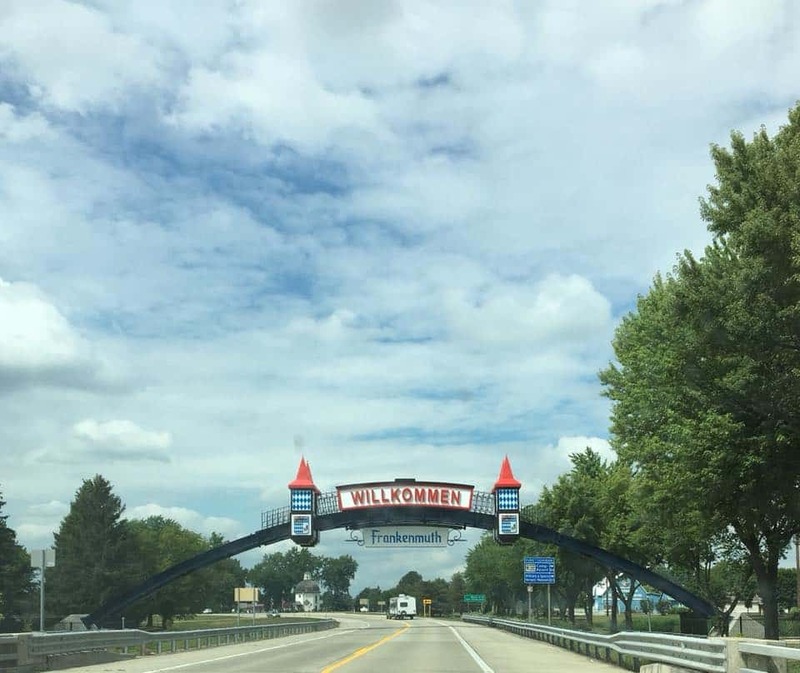 Road trips are the best because it gives you time to talk and reconnect before you even get to your destination. 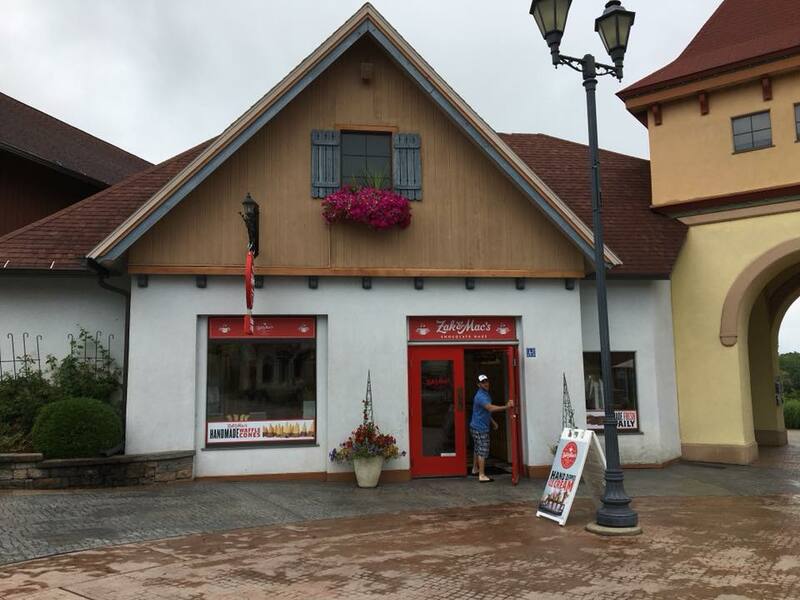 It almost feels like you've traveled to another country, with all of the architecture, food and charm you would expect to find in a real town nestled somewhere in Europe. 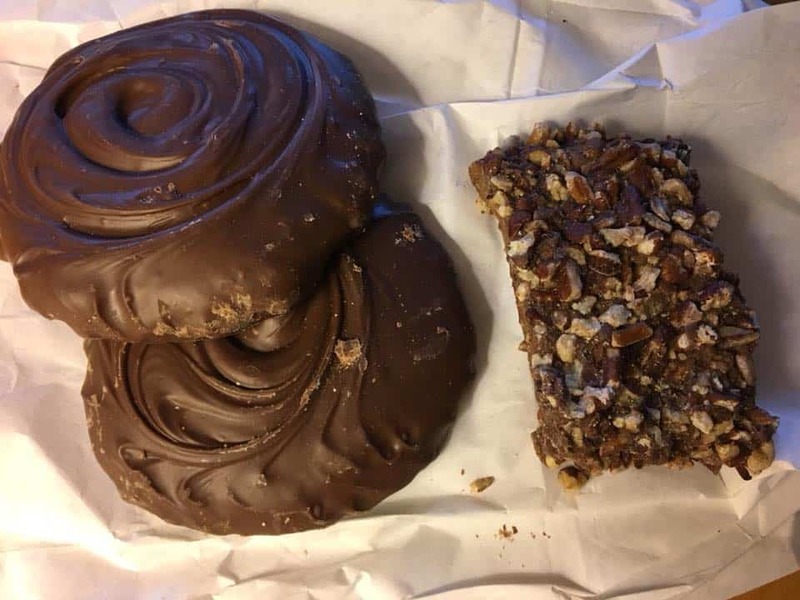 First stop after checking in (before we even got to our room) was to get some of the best homemade chocolate candy ever from the shop located inside the Bavarian Inn. It's hard to tell from the photo, but these caramel turtles were almost as big as our hands and the toffee was my fave! 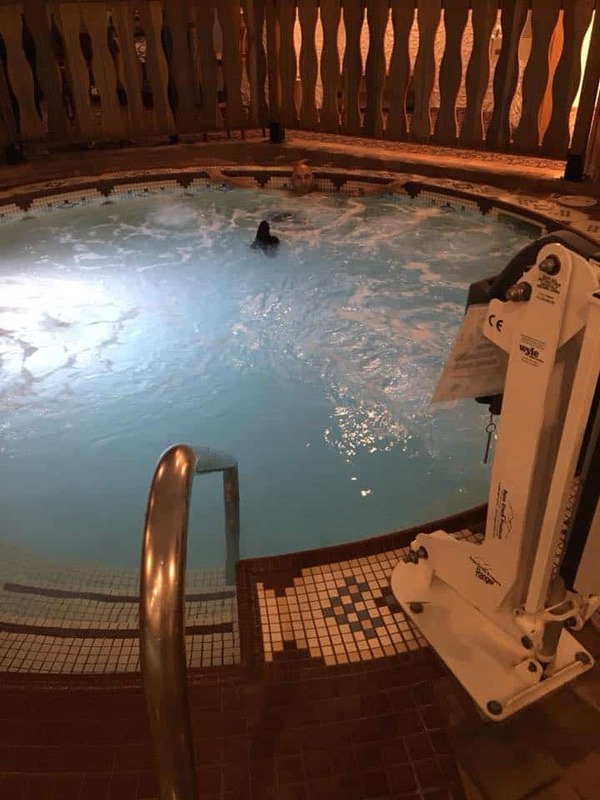 We usually visit Frankenmuth during the cooler months for their indoor hot tub. 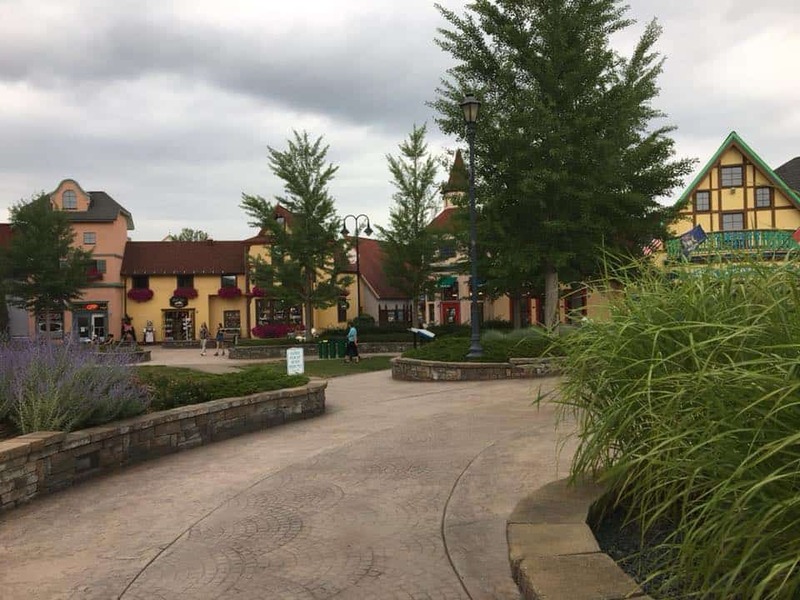 So this was the first time we really got to experience walking around, sightseeing and checking out the different shops at Frankenmuth River Place, which is just a short little walk from the Bavarian Inn Lodge where we were staying for the night. 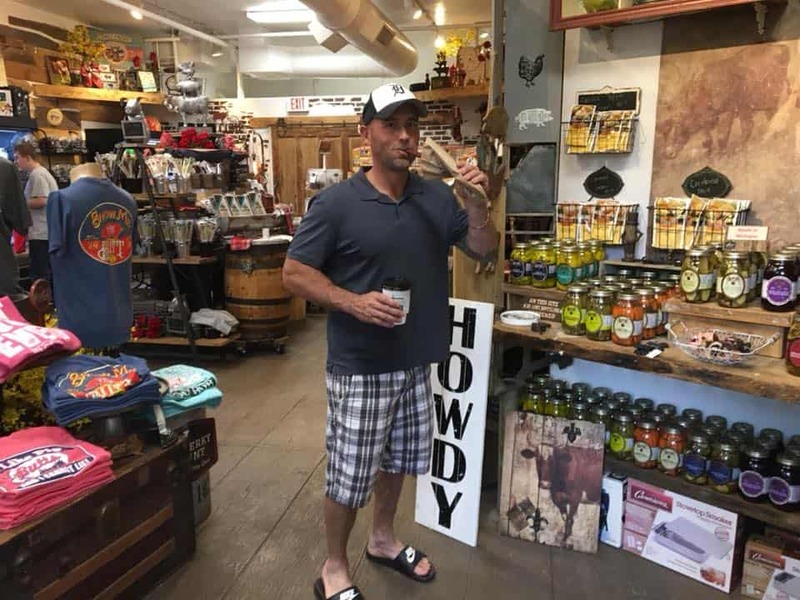 Rich spotted The Jerky Joint and had to check it out. It was super cute and I loved the homesteady feel to it. Of course Rich had to grab some beef sticks before we left. 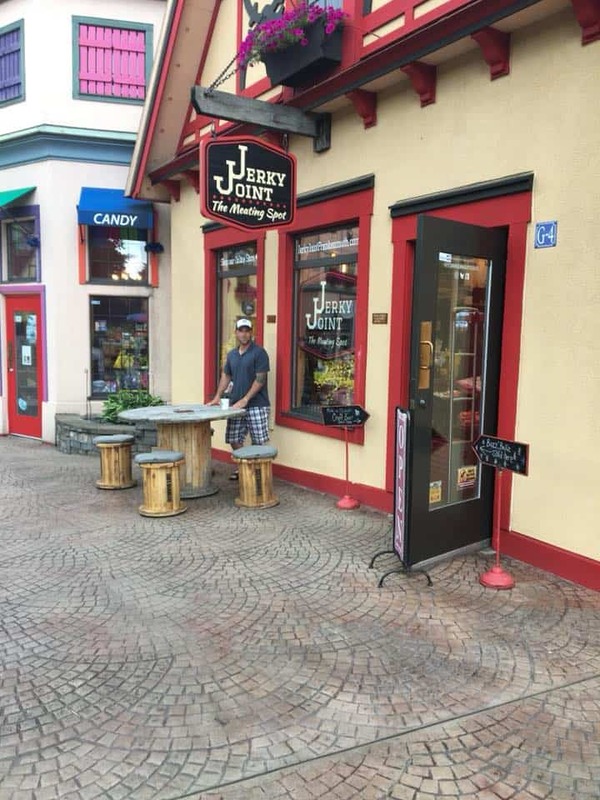 Rich loved the Jerky Joint. 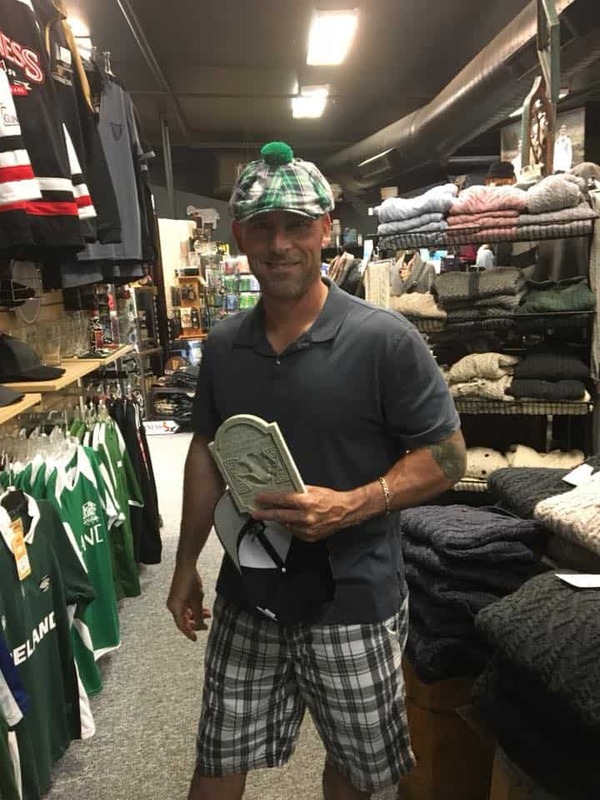 Interestingly enough, it was a little Irish shop that captured our hearts. 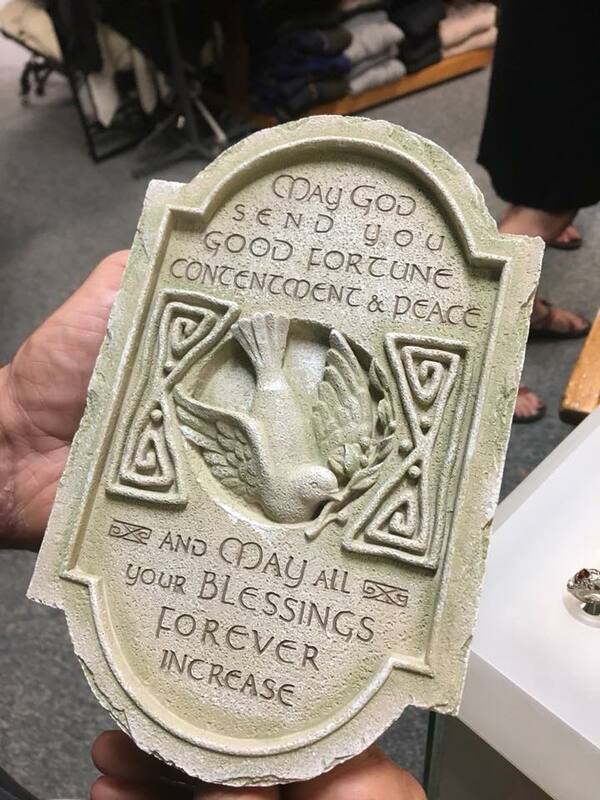 We chose to buy this plaque to bring home and put at our entryway, because it really is exactly what we would pray for all of our friends, family and ourselves too. It really was a great laid back evening. 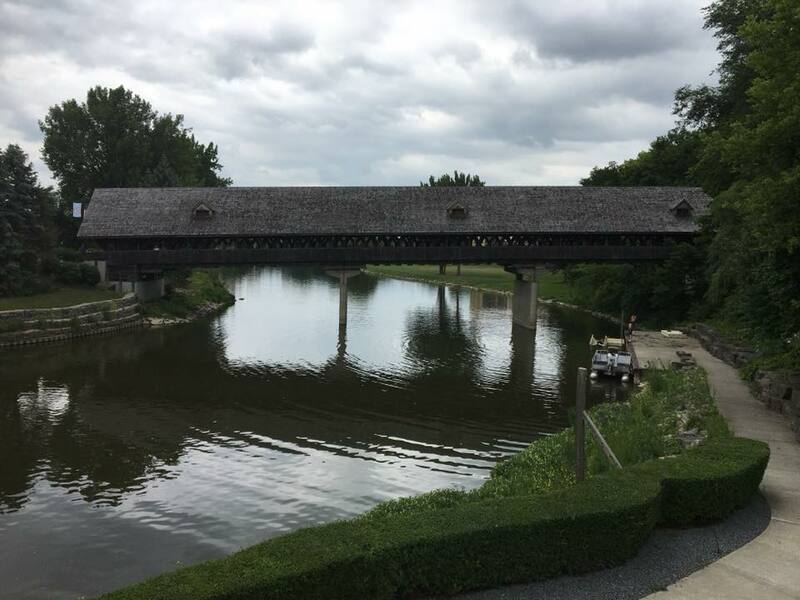 In fact the weather was so perfect that we didn't even take the shuttle to dinner at the Bavarian Inn Restaurant like we usually do and we chose instead to enjoy the quick walk over, through the covered wooden bridge. Dinner was excellent as usual. 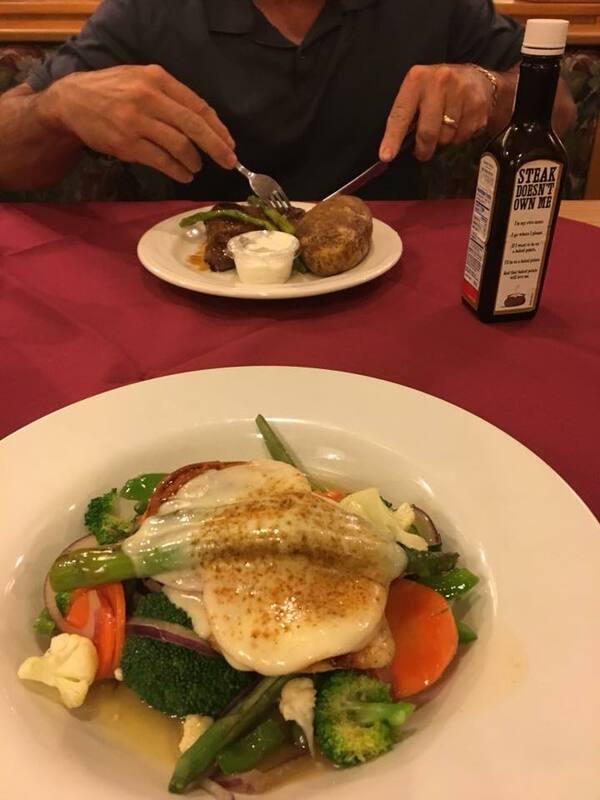 And while they may be famous for their homestyle chicken dinners, Rich chose a big juicy steak this time and gave it two thumbs up. 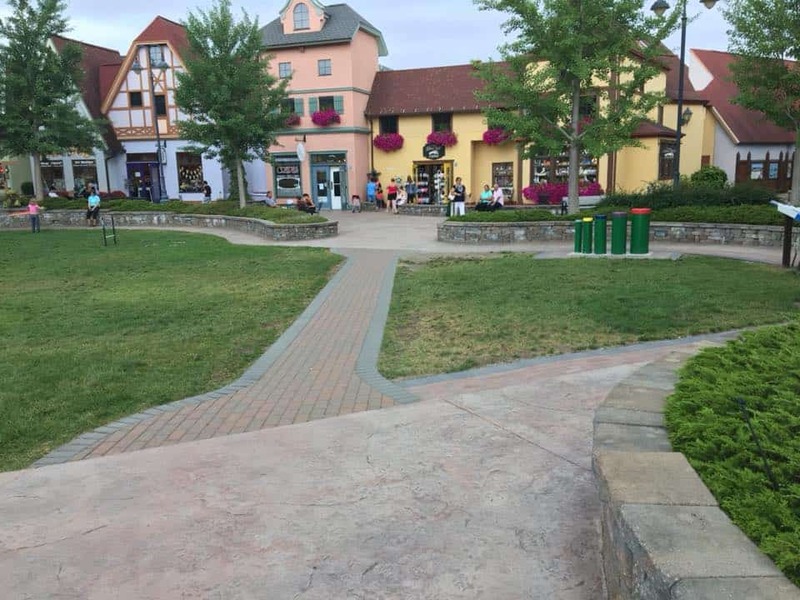 We walked around a bit more and walked off our meal before heading back to the Bavarian Inn Lodge. 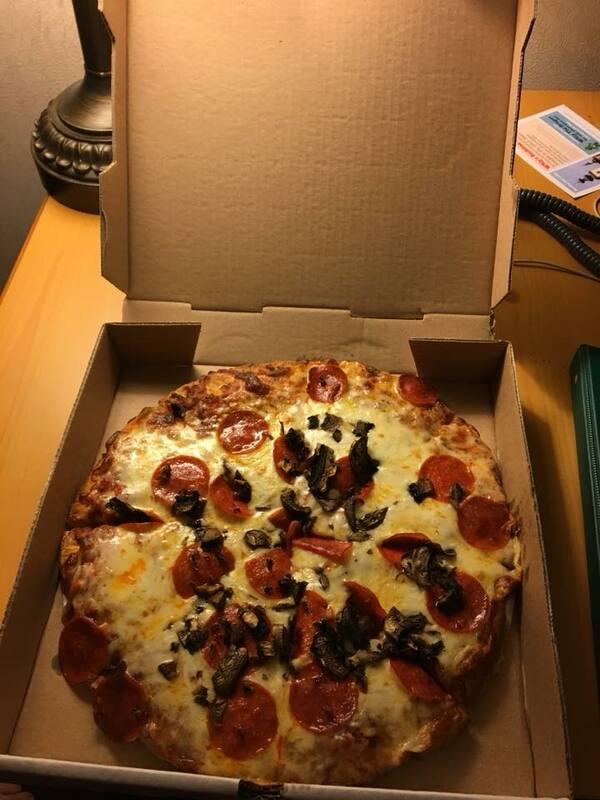 We ended the first day by swimming in the pool and relaxing in the hot tub and then headed back to the room and ordered a pizza from room service, which we ate while we watched a movie before bed. This basically goes down in my book as one of the best days in my life. We enjoyed ourselves so much the first day that we chose to head back and spend some time just enjoying the sights once again. One of the neat things that we noticed at the River Place was this grassy area with yard games and musical instruments that anyone can play with. This is one of my favorite pics of the covered wooden bridge. Just behind it was the Bavarian Inn Lodge where we spent the night. To the left of the bridge is where we had dinner the night before and to the right of the bridge is The River Place Shops. The entire setting is just so quaint and happy. 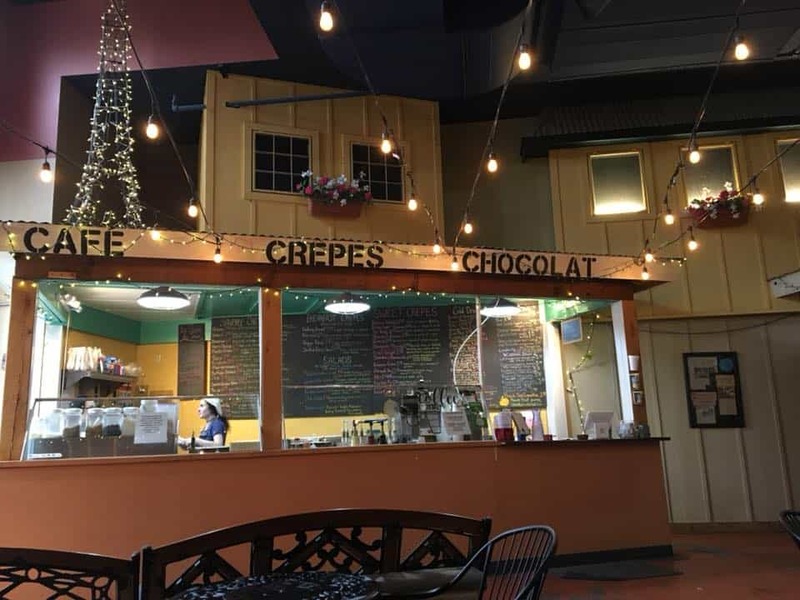 We started our morning at Crepe du Jour after a friend on Facebook recommended it and she was right, they were so good. 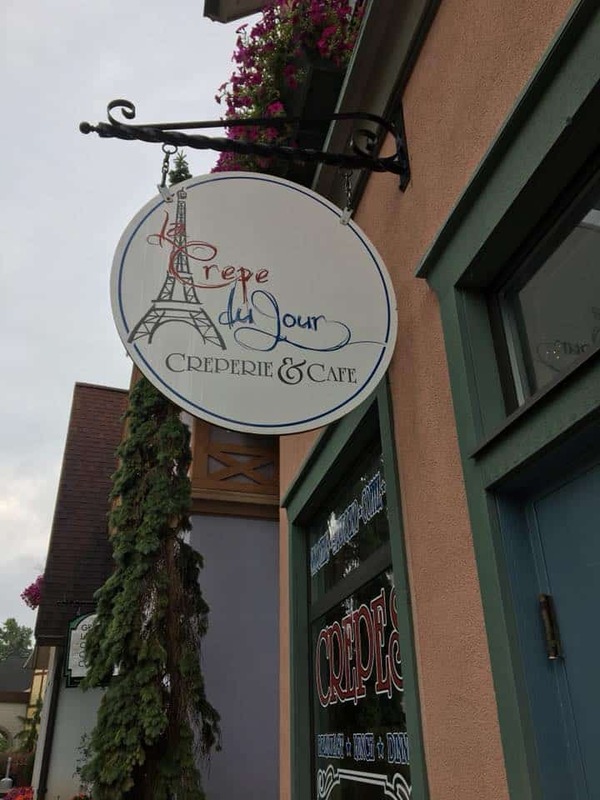 It was neat to watch them make the crepes right there in front of us. 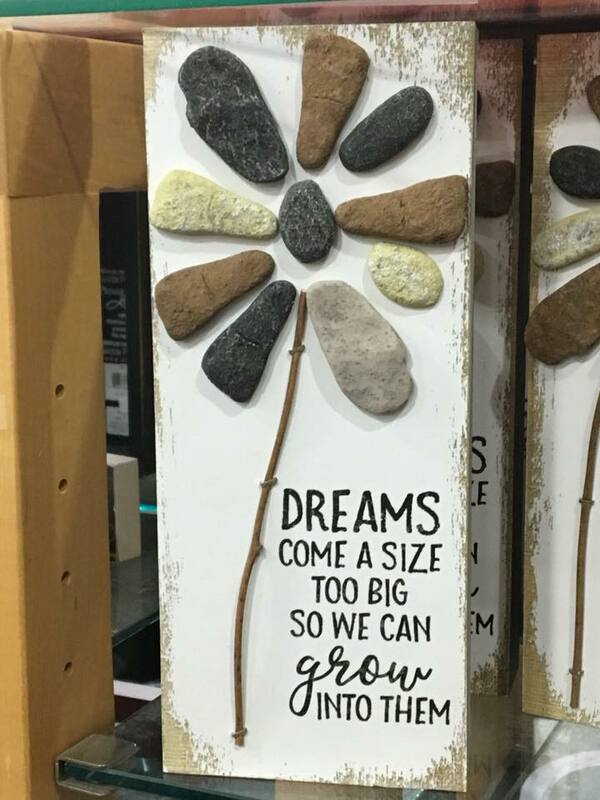 I loved this quote and had to get a pic of it to remember it forever. 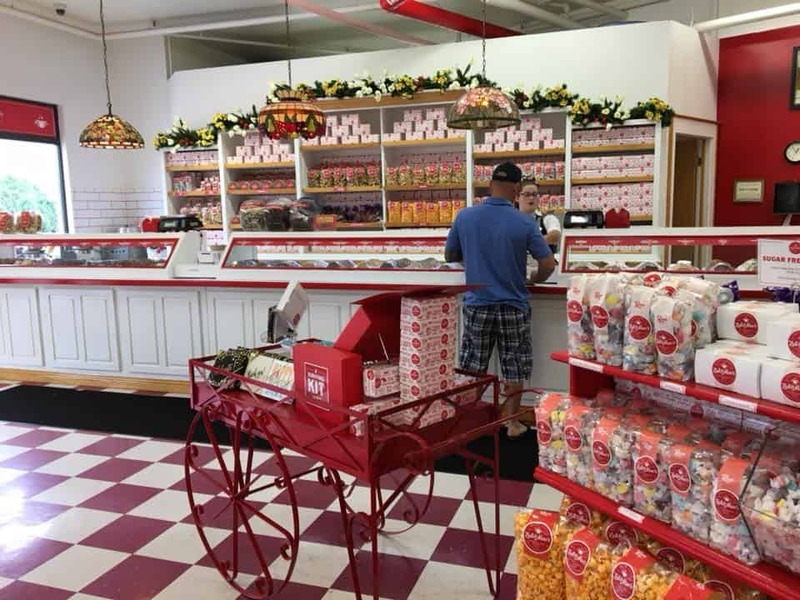 We saw the Sugar High Bakery and had to check it out! The dog biscuits were super cute. 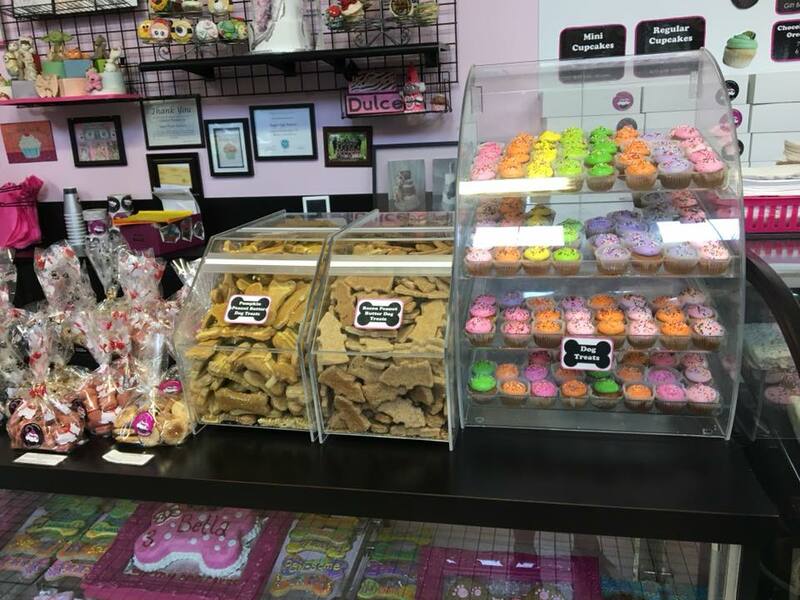 But we came for just one thing and one thing only and that was CUPCAKES! 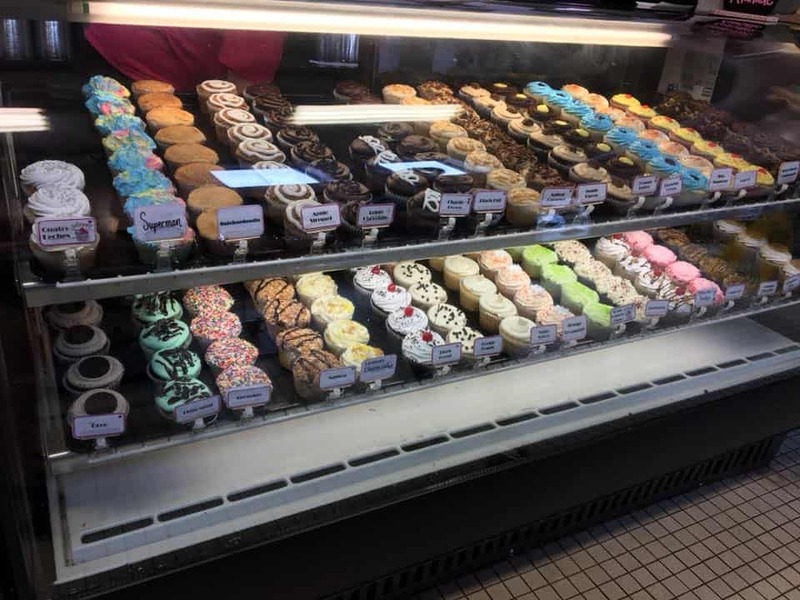 The Sugar High Bakery has so many to choose from and I have yet to try one I didn't like. 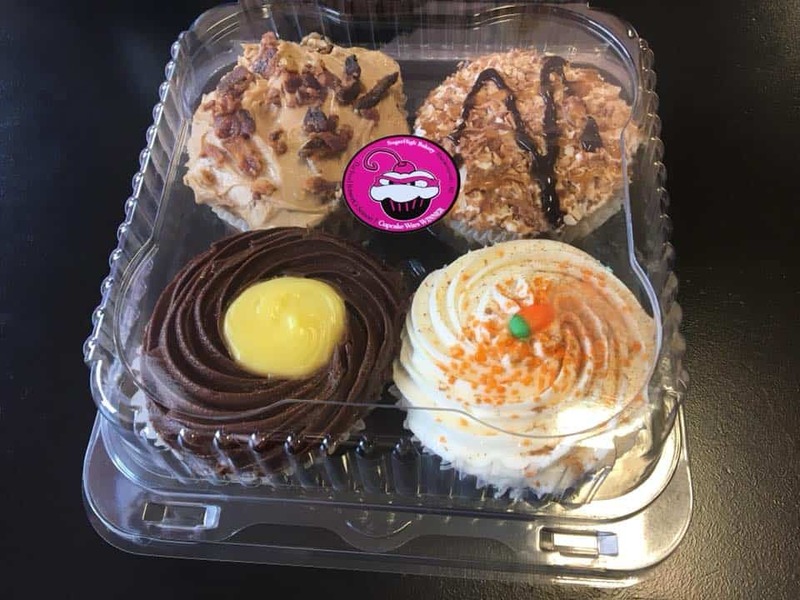 This time we chose Bavarian Cream (for obvious reasons lol), Carrot Cake, Samoa and Maple Bacon cupcakes. 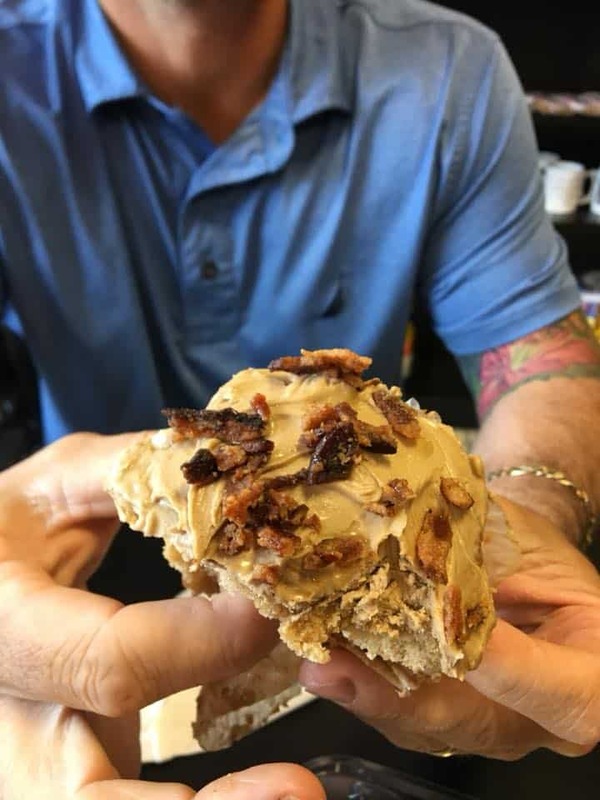 They were all great, but we both agreed that the winner by a long shot was definitely the Maple Bacon Cupcake. YUM-O! 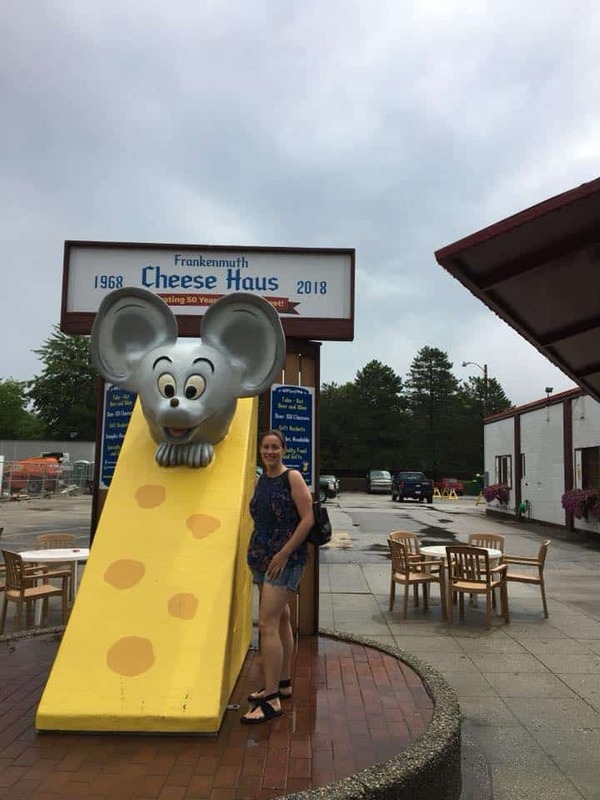 We had to stop in at the Cheese Haus, well...because CHEESE! 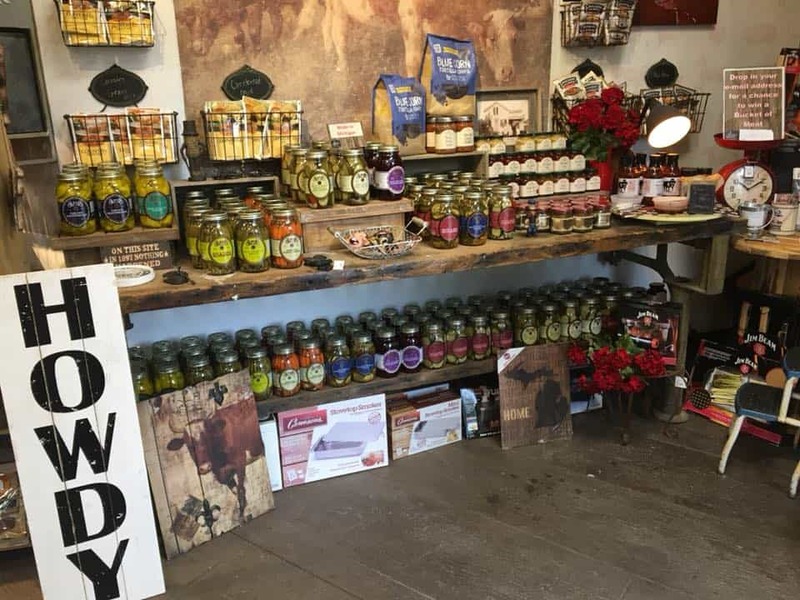 They have every kind of cheese you can imagine, and even some you never would have imagined. 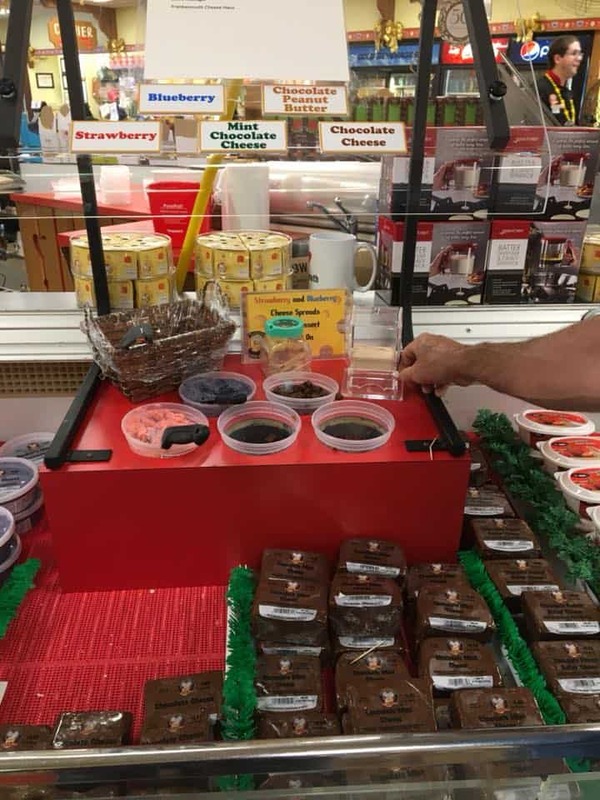 Rich was the only one brave enough to try the chocolate cheese that day, but he said it was good and tasted a little like chocolate cheesecake. We had one more very important stop to make before we had to head back home again. 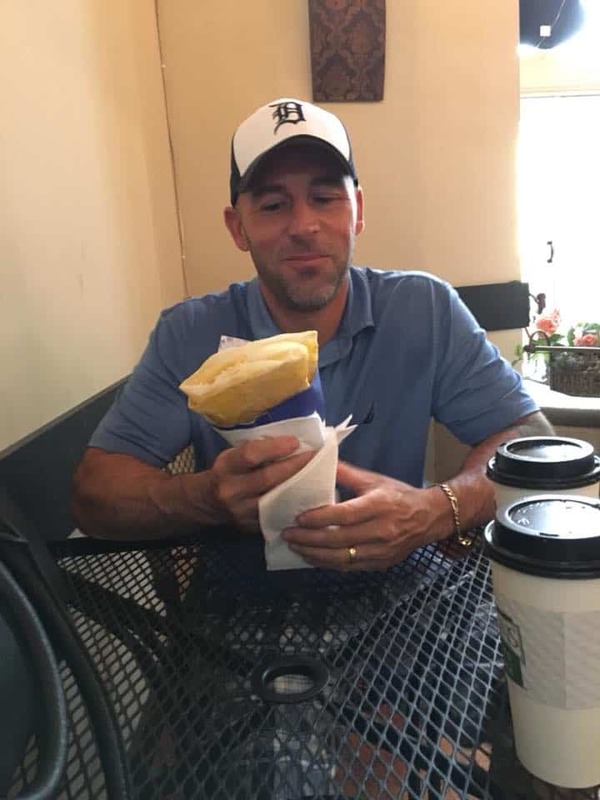 We couldn't leave without getting ice cream in a homemade waffle cone. 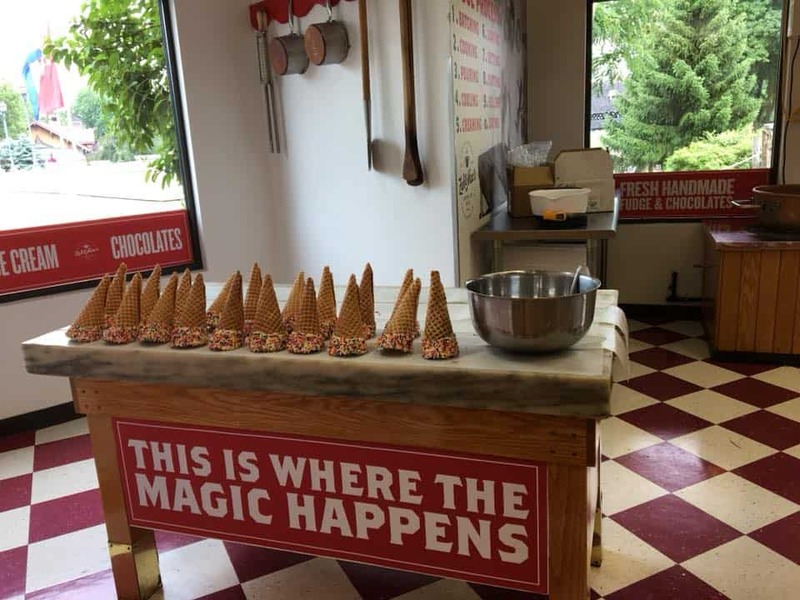 They had just finished making the sprinkle dipped cones when we got there, but we chose to go with the chocolate dipped cones and it was a great choice! 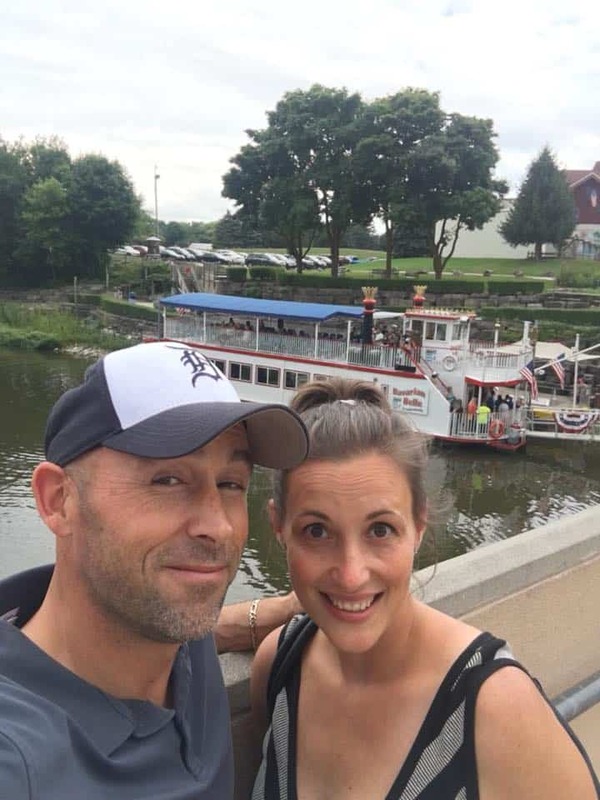 We ate our ice cream while watching the ferry and talked about what an amazing trip it had been and how much one day away can do for a person when you just need to get away, reconnect and recharge again. We are already planning when we can just go back for a day trip because the weather changes and starts to get cold.